USDJPY is chiefly under the influence of some economic reports such as Balance of Trade in Japan and Fed Harker Speech in the US. 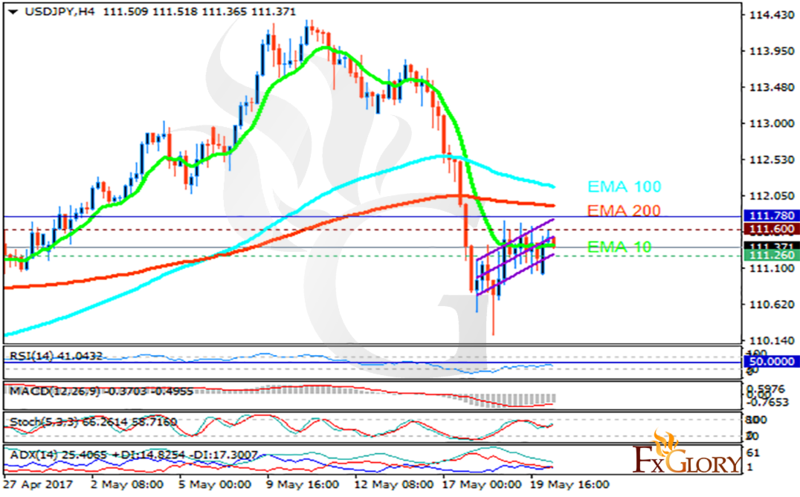 The support rests at 111.260 with resistance at 111.600 which both lines are below the weekly pivot point at 111.780. The EMA of 10 is moving horizontally below the EMA of 100 and the EMA of 200. The RSI is falling below the 50 level, the Stochastic is showing upward momentum and the MACD indicator is in negative territory. The ADX is not showing any clear signals.